Since our new website went live in June 2017 we have received 803 online requests, 162 of these were received in January. To date we have saved 757 people from having to telephone or come to the surgery. 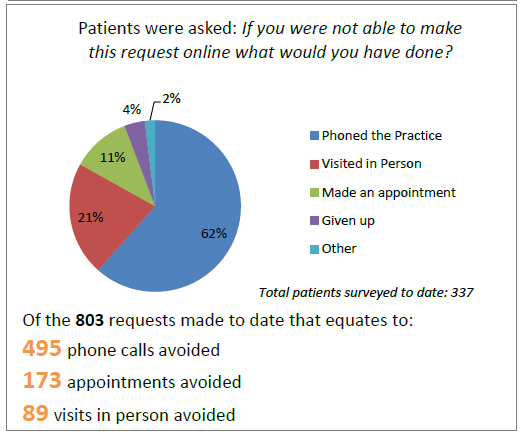 21% of patients are accessing services through our website. Thank you to our patients who are using the website to access information as this increases access for those patient groups that may not have access to the internet. Please view all of the online requests you can send to the surgery.